Thanks to an anonymous Secret Santa, hundreds of homeless men, women, and children were able to eat a hardy meal for the holidays. A mystery donor gave 3,500 pounds of rib-eye steak to Union Gospel Mission shelter in Seattle, Washington. Union Gospel Mission has been providing emergency care and services to the homeless community since 1932. Though they reportedly serve about 1,000 meals a week to people living in property, the steak was a rare treat. 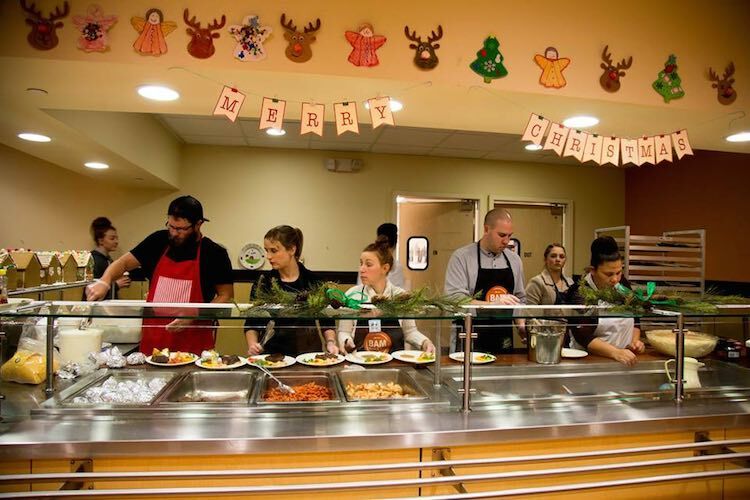 “This meal means a lot – it’s the first Christmas I’m sitting down having a sober meal with my kids and new sisters and making new memories,” said one of the guests.